ASHTON Kutcher's first day on 'Two and a Half Men' was very tense. The 33-year-old actor - who replaced troubled star Charlie Sheen on the CBS sitcom after he was fired following a public spat with the show's creator Chuck Lorre - first appeared on set on Monday (01.08.11), but the atmosphere was so strained onlookers could "cut the air with a knife". Nina Tassler, CBS programming chief, explained: "When everybody walked on the set you could cut the air with a knife." However, the tension was quickly broken by 'Two and a Half Men' star Jon Cryer - who portrays Charlie's on-screen brother Alan Harper - who delivered a "touching" speech to the cast and crew. Nina added to Fox News: "He gave a little speech. I can't even remember the words. It was just something very touching. "Then, when you hear that first actor mutter that first line, you breathe a sigh of relief." 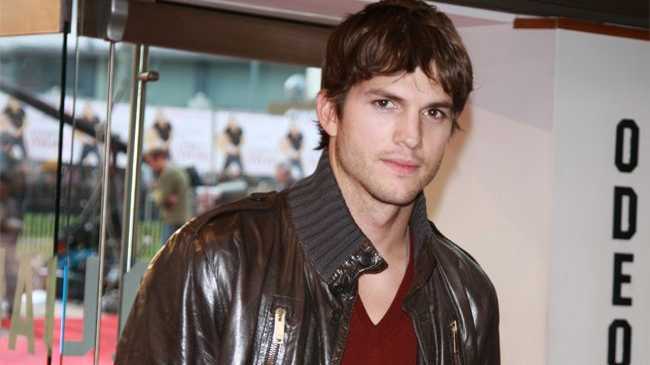 Ashton is to play Walden Schmidt, an internet billionaire with a broken heart, and show bosses promise 'Two and a Half Men' will be "as irreverent" as when Charlie was the main star. Nina said: "The show will be as irreverent as it has ever been." Ashton recently compared landing the coveted role to "winning the lottery". He explained: "I've never probably in my 13 years in show business received more phone calls and emails from people congratulating me on this job.